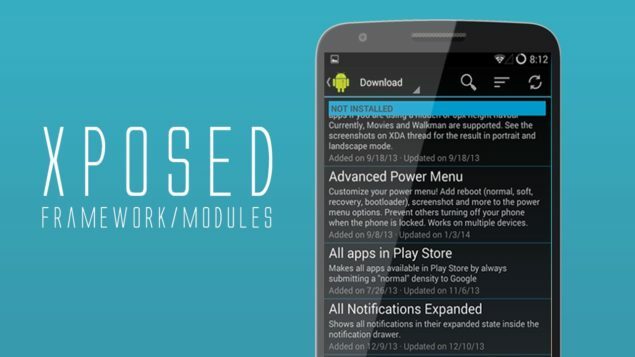 The Xposed Module is a tool that enable users to make extensive changes to their Android OS. It’s a framework that runs smaller modules under it to acquaint the mixing and matching of OS elements. Some users are attracted to Xposed Modeules because it enables them to make their Android device the way they want, according to their preferences. Since, Xposed Modeule differ from the likes of custom ROMs, they do not require expertise and can be removed easily without a complex walk-through. 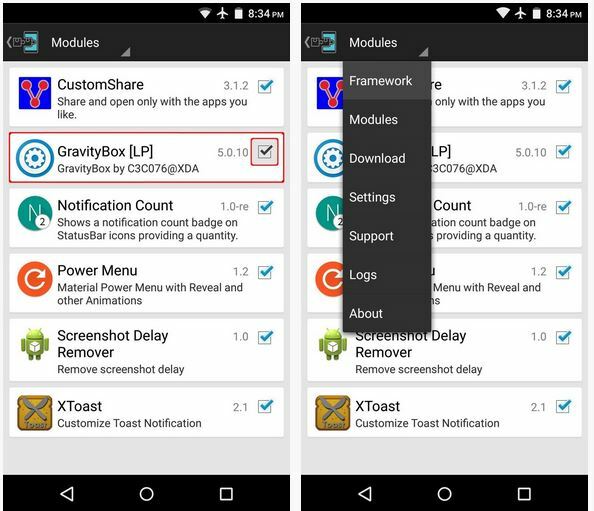 Installing these modules act in a similar manner as sideloading an application but you need to activate it and reboot your device. This is what we are here for today, to show you how to activate a newly installed Xposd Module. 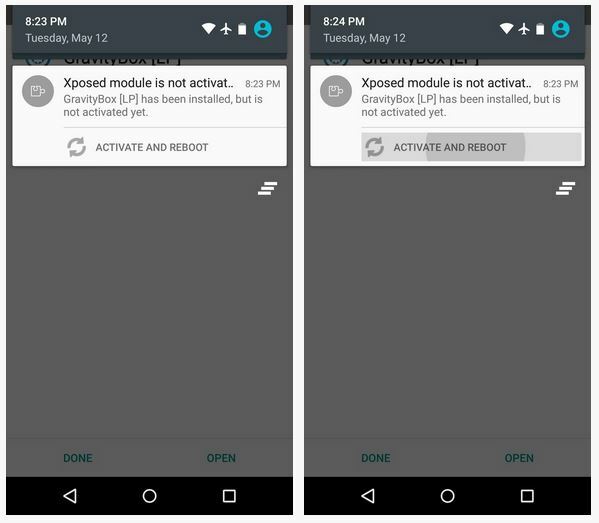 After you install the Xposed Module, you will get a notification from Xposed, reminding that the module has not been activated yet and a certain process is required to do that. It merely depends on your android smartphone to veil the button in the notification that could activate the module in a jiffy. If you got the activation button saying ‘Activate And Reboot’, tap it and your Xposed Module will be activated. 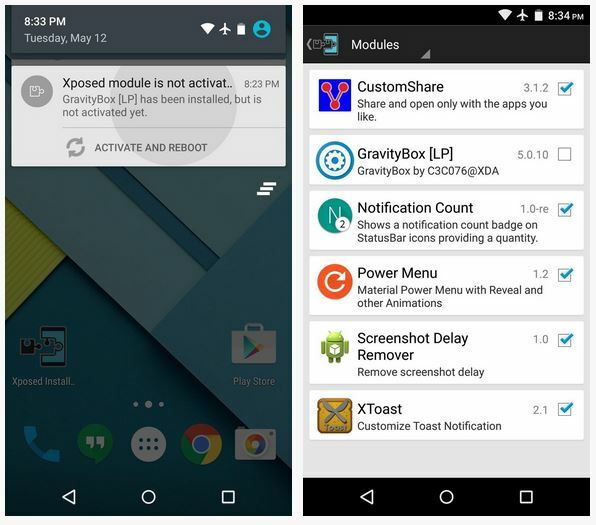 Tap the notification which will further redirect you to the Module department of your Xposed application. When you are in the Module section, check the box adjacent to the newly installed module. 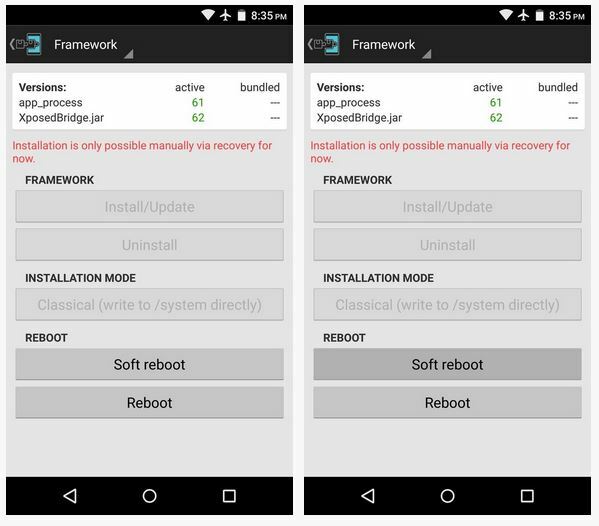 Next, you must head to the framework section of Xposed Installer Application. You can do this by using the drop menu from the top of your display. Over here, either tap ‘Reboot’ or ‘Soft Reboot’. Thats’s to it, people. You have successfully activated the Xposed Moule. This will put an end to the process and your Xposed Module will be activated. This wasn’t as difficult as it sounded right? So manage your own preferences or priorities and transform your android as you desire. Discover Xposed Modules and share wit us what you feel about it in the comments section below.